As The Dark Knight continues to break box office records I thought it might be worthwhile to examine one of the key features of the film’s success: IMAX. The film’s IMAX treatment has been getting some press lately, but I’ve read nothing that really situates the technology (or The Dark Knight‘s use of it) with the history of the format. Christopher Nolan’s second Batman film is, indeed, a cinematic achievement for incorporating –for the first time in Hollywood– the IMAX process into the visual structure of the film. Of the many accolades the film will likely continue to garner, this is one worth exploring further. Here are some thoughts on IMAX in The Dark Knight, its relationship to Hollywood, and its future. The IMAX format originated as an experimental projection system for EXPO ’67 in Montreal, Canada. In 1970 the first IMAX system and film was presented at the Fuji Pavilion at EXPO ’70 in Osaka, Japan. Since then there has been no shortage of discussion in trying to link the large format process with commercial filmmaking. In the early 1980s, as the company expanded its theater and distribution network to include more locations in North America and around the world, technologically conscious filmmakers expressed interest in shooting with the system. Most notably, Francis Coppola, Steven Spielberg, and George Lucas pledged their support of IMAX technology as a viable out-of-home theatrical experience. The format boasts an image surface area that is up to ten times the size of normal 35mm film. Using 70mm film turned on its side with 15 perforations per frame, the frame size is square-shaped (1.34:1) as opposed to the wider processes of standard 35mm film. With such a large frame surface area, more light is capable of striking the negative, which results in sharper images with less grain. Audience seating in IMAX theaters such as the Ontario Cinesphere in Toronto– the world’s first permanent IMAX venue — consist of stadium rows that begin above –not below– the screen, which gives the impression of vertical as well as horizontal immersion. In the 1990s, IMAX patented a digital multichannel audio system to compete with other emerging formats such as Dolby Digital 5.1. Together, the immersive image and sound technologies offer spectators an “experience” unlike other conventional theatrical venues. However, by the mid-1980s the IMAX format became associated with spectacular documentaries, travelogues, and short subjects that lent themselves to the immersive images and sounds of the process. Documentaries such as The Great Barrier Reef (1981) and Hail Columbia! (1982) and The Grand Canyon (1984) are three early examples of the types of films that dominated the IMAX brand: educational and spectacular voyages through space and the sea. Not unlike the early travelogues that helped Cinerama gain a reputation in the 1954 as an immersive and altogether new cinematic experience, IMAX seemed destined to be relegated to the specialty entertainment film, the novelty film, and the educational film. Hollywood’s interest in IMAX resurfaced in the early years of this decade when the company announced its plans to innovate a system that would essentially convert traditional 35mm film into the 15/70mm IMAX format. This paved the way for conventional films like Beauty and the Beast, Apollo 13, and Star Wars Episode II: Attack of the Clones to be retrofitted with the IMAX brand and re-released in IMAX theaters. These retrofitted films were edited for time since the size (and tremendous weight) of IMAX reels prevented films from running longer than 2 hours. Current 2008 IMAX “platters” can hold up to 150 minutes of film. This process, which is called DMR (Digital Re-Mastering) offers a less sharp, less crisp image that is basically “stretched” to fit the taller format. Another option of the DMR format is to present a film in its original letterboxed format, which will leave empty space on the top and bottom of the screen. A further option has been to present Hollywood films in 3-D, such as The Polar Express and Beowulf. At the same time, true 15/70mm films continue to be made and released on IMAX screens, including the recent film Deep Sea 3D (2006), which utilized 3-D imaging technology in addition to the traditional IMAX screen (and a beautiful Danny Elfman musical score that is made up of his concert work, Serenada Schizophrana). With this in mind, it would appear that Hollywood has had a very limited relationship with IMAX. Each of the innovations mentioned thus far have been half-hearted attempts by studios and filmmakers to exploit the IMAX format. Hollywood is known for its conservative feelings towards innovative image and sound technology. A “wait and see” approach has dominated the industry since the very beginning, which is partly why it took nearly seven decades for wide film processes such as CinemaScope and Panavision to become an industry norm and not a novelty. In many ways, technical standardization is the result of a perfect storm of happenings: audience demand, economic security, and a film (or set of films) to ignite public interest. In other words, if a technology is cost effective, audiences demand more films to utilize it, and filmmakers have proven to be adept at using it, then it may be adopted by the broader industry. Other factors apply, of course, but I’m trying to simplify things, and these are some of the more dominant concerns of technological innovation in Hollywood. The IMAX format imposes particular possibilities and limitations. 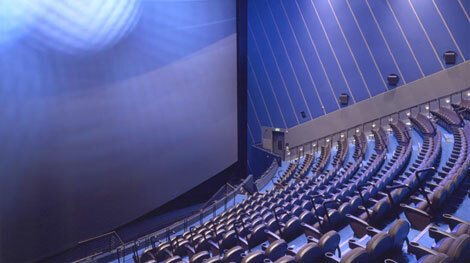 Since the viewer sits lower in relation to the IMAX screen than in a conventional theatre, the frame’s centre lies about a third of the way up from the bottom of the screen. Close-ups therefore need plenty of headroom. While long shots can be framed wider than usual, the movement from extreme long shot to medium close-up can be very condensed and the screen’s enormity cannot tolerate grainy or irresolute images. It is interesting to note that one of the difficulties (or challenges) the IMAX format poses have provoked reactions very similar to those expressed by directors working in early CinemaScope. Longer pacing and the large frame are ideal for the wide-world films IMAX produces but they send acting, dialogue and emotional scenes into the wrong orbit. Quick cuts are a rarity in IMAX, because they would subject the audience to severe jolts and probably violent nausea. Wollen basically suggests that there are several aesthetic hurdles that must be overcome if the rules of continuity filmmaking are to be applied to the IMAX format. While the soundtrack remains unaffected, image composition and editing may not “hold up” as well. At least that is the governing logic as Wollen sees it. And, to some degree, she is right to posit that close-ups are difficult to pull off since the wide-angle lenses of the IMAX camera may distort a face or close object. Faster cutting may also not fare well, since the audience must register much more visual information than normal; watching something like The Bourne Ultimatum may prove to be too challenging for some, and may result in the “violent nausea” that Wollen mentions. The movement from close-up to medium or long shot may also be quite startling, as viewers reacclimate themselves to the ever-changing shot scale. To be sure, traditional IMAX fare such as Everest tend to linger on shots, thereby allowing the audience to “take it all in,” which is often the modus operandi of any IMAX docu-experience. There are other concerns that Wollen does not mention. First, there is the issue of expense. It’s very expensive to shoot in the 15/70mm format and to distribute hundreds if not thousands of prints to theaters. Second, it’s noisy. IMAX cameras are notoriously loud, since they must feed the large negative through the camera at 24 fps. As a result, dialogue is virtually impossible record on set, especially if the camera is close to an actor reading her lines. Lastly, the IMAX cameras are heavy. Hand-held shots are hard, if not impossible, to achieve, which leaves filmmakers with a more limited stylistic palette; crane shots, static shots, and tracking shots notwithstanding. With the release of The Dark Knight, the first film ever to be partially shot using IMAX film, some of these limitations may no longer be a problem. Director Christopher Nolan has noted in the past his desire to shoot an IMAX film, but like his forebears — Spielberg, Lucas, and Coppola — it was all talk and no show. Until now. Having experienced The Dark Knight in its eight-story IMAXed version, I must admit that I’m once again smitten with the format, not because it reignited my passion for large-format films but because it has proved that large-format commercial filmmaking is possible. In some sense, The Dark Knight is another baby step in a long line of baby steps that Hollywood has taken in adopting the IMAX format for its storytelling purposes. However, Nolan’s step is much more significant than earlier experiments, since he has laid the groundwork for future experiments with IMAX cameras at the shooting stage of production. It’s one thing to blow up a print for IMAX exhibition, but it’s entirely different to plan and execute several sequences with the format in mind. Nolan and his cinematographer Wally Pfister utilized the technology for six sequences spread across the film. Sequences shot in 35 were transfered using the DMR technology, which appear as letterboxed, while scenes shot with IMAX cameras on 15/70mm film expand vertically to fill the entire eight-story screen. It is not surprisingly that sweeping vistas and panoramic shots constitute some of the IMAXed scenery, since it is the bread and butter of the format. And even I must admit that the Chicago — er, Gotham — skyline never looked better. With its uncompromising clarity, I was mostly astonished at the level of sharpness with most of the expansive shots. The film opens with an elaborate bank heist that some critics have compared to Michael Mann’s Heat. While this is not nearly as elaborate as Mann’s instructional “how-to” sequence, Nolan’s prologue does as much to set up the introduction of The Joker as it does to introduce his audience to the IMAX format and its range of visual possibilities. The first shot, as I have already mentioned, establishes the Gotham skyline at mid-day with a skyward track towards a tall office building. As one of the windows is blown out, the sequence-proper begins as a group of clown-masked thugs prepare to empty the vault of one of Gotham’s high-profile banks. What was remarkable about the entire sequence was its adherence to the conventions of continuity logic: wide shots give way to medium shots; screen direction is dictated by eye-line matches; and Nolan continues to exert his own brand of “intensified continuity,” utilizing singles and rhythmic cutting to enhance the kinetic pulse of the bank job. 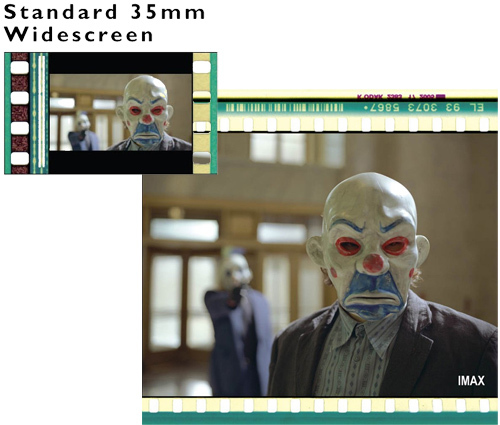 (The images here from The Dark Knight are IMAX frame-grabs). Therefore, what was remarkable was entirely unremarkable. Instead of being too aware of the vertical horizon of the IMAX image, I was completely swallowed into the story world as the infuriated Bank Manager (William Fichtner) attempts to thwart the clowns’ plans with a hidden shotgun. The rest of the film followed this logic. Expansive shots gave way to more tightly woven elements, as when Batman plays a game of chicken with The Joker’s 18-wheeler. For the most part, the IMAXed sequences avoid extreme close ups and favor more medium-to-long framings. However, Nolan occassionally draws your eye to various areas of the large screen as accent points, such as when Batman redirects his BatPod by climbing a building wall (at the right side of the screen). There was no disorientation, confusion, or nausea. At times I admit to feeling completely immersed in the image, especially skyward shots, mostly because my peripheral vision (top and bottom) was consumed by the screen. Others have told me that they couldn’t tell when the screen reverted to 2.40:1 letterbox, a potential testament to the immersive nature of the film itself, not its technical wares. Imax, which is coming off a bumpy few years marked by struggling ticket sales and multiple earnings restatements â€” the company acknowledged last summer it overstated revenue between 2002 and 2005 â€” now finds itself filling theatres well in advance. 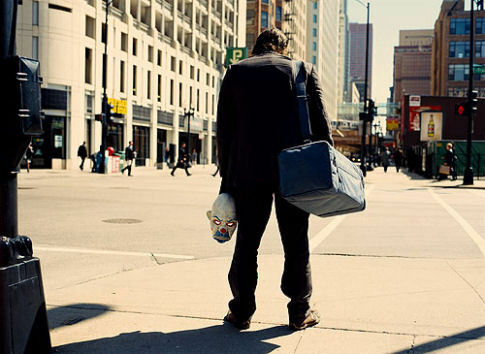 In Chicago, for example, The Dark Knight is sold out for the next week, the company said. Mr. Gelfond said Tuesday that Imax is now in talks with several other directors who want to duplicate Mr. Nolan’s model, where scenes are shot for the oversized Imax screens, and then shrunk for regular theatres. As the IMAX company shifts to an all-digital format in the next two years, the above mentioned “obstacles” may be completely eliminated, most notably camera weight and noise. That only really leaves the aesthetic question. Can filmmakers pull off a feature film entirely in IMAX? Will audiences be nauseated? What kinds of films will benefit most from IMAX treatment? Will studios foot the bill? Warners has not yet indicated how much of The Dark Knight‘s $180-million budget was because of the IMAX sequences. As studio execs ponder the cost effectiveness of entire features in IMAX, filmmakers like Christopher Nolan are reconceptualizing how to shoot for IMAX and make it work. The sellout crowds at IMAX screens across North America this past weekend has signaled an appetite for the immersive medium, even if it costs a few dollars more than a traditional 35mm screen. As critics and historians we must not fall for the inevitable argument that positions IMAX as a revolution in cinema technology and aesthetics. So far, IMAX has been with us for forty years and is only now making waves in Hollywood’s swimming pool. As home cinemas become more prevalent and more impressive — and multiplexes become less immersive and impressive –Â IMAX is a format that continues to “wow” audiences. To be sure, I believe that the success or failure of IMAX as a viable feature film format will lie with the innovative support of filmmakers like Mr. Nolan, whose aesthetic demands will shape the obstacles, limitations, and possibilities of IMAXed movies. As I inch closer to the completion of my PhD studies I have supplemented my time and income by teaching undergraduate courses in the film program at Carleton. Last fall I introduced a group of upper-year students to the world of film sound — from the talkies to Dolby — which turned out to be a great experience. Having thought about the impact of sound on movies for years it was nice to bounce ideas and concepts off a sharp group. More recently — this past spring, to be specific — I was given an opportunity to develop a course on a film genre of my choice. I was immediately drawn to the deceptively simple and foundational essence of the Western. Some have suggested that the Western is as old as Hollywood itself, a genre that grew to maturity not in literature or on stage but in the movies. Film scholar Robin Wood chose a Western — Rio Bravo — as the one film that could justify the existence of Hollywood. Hortense Powdermaker, author of Hollywood: The Dream Factory, noted in 1950 that “the only motion picture with a stereotyped plot which has met with a fairly consistent success over a long period of time is the Western.” Indeed, genre scholars like Thomas Schatz (see Hollywood Genres) and Jim Kitses (see Horizons West) have circled the wagons and argued that the Western, like the gangster film and the musical, provides a veritable blueprint for the study of film genre. The icons and themes of the Western are a part of our collective consciousness, even if we don’t realize it. The cowboy hat, monument valley, a tin star, a six shooter, the sound of spurs and creaky wood floors, dusty trails, whiskey by the bottle, the music of Ennio Morricone, John Wayne’s confident swagger, and Clint Eastwood’s intense stare are all universal symbols of the genre. In terms of thematic importance, the classical Hollywood Western codified a not-quite-real Old West that was rooted in myth and myth-making. Perhaps the most recognizable thematic of the Hollywood West is the figure of the Lone Rider, who is outside of society and its civilized laws, but enters the community with the purpose of rooting out the cancerous villains that seek to overtake the town or rob it of its natural resources and citizenry. In the end, the gunslinging hero must leave society again to rejoin the uncivilized wilderness. My approach to the Western was by no means revolutionary, which is where I encountered some comments from colleagues that were rather surprising. I am a big advocate of canon: canonical films and canonical readings. Sorry hipster filmsters: no radical departures from adorned classics, groundbreaking texts, or trailblazing films. There’s a trend in contemporary film instruction to dismiss the foundational movies that we grew up admiring in favor of lesser-known, lesser-liked works with the aim of “expanding” and “opening” the minds of film students everywhere. During my own undergraduate studies it was not uncommon to hear professors exclaim the virtues of straying from the canon, as if they were the bearers of things that were “good for us” that we would otherwise never see or experience. There was the inevitable flashback to childhood when mother told you to eat your brussels sprouts because they were good for you. While there is a time and a place for the exploration of the darker and unexplored corners of cinema, it is essential that a foundation be laid before we build a complex, layered house of movies. Then there were those who spoke from the mountain and pronounced some filmmakers and actors off limits to make room for “alternatives.” Their reasoning was simple: you were raised with, say, Sergio Leone films, so why not forego that area of Western film study in favor of, say, Dennis Hopper’s The Last Movie. Edward Buscombe put it best when he asked, “If we want to know what a Western is, we need to look at certain kinds of films. But how do we know what films to look at unless we know what a Western is?” In other words, what makes a Western a Western? My own approach necessitated the use of those canonical films — and scholarly readings — that defined the Western film for generations. 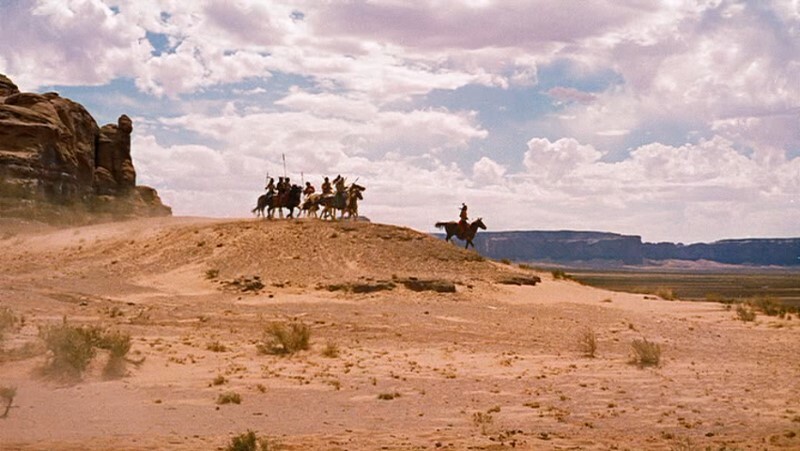 How can we appreciate the revisionist tones of Jim Jarmusch’s Dead Man without a nod to John Ford’s morally ambiguous masterpiece The Searchers? How can we begin to understand the aesthetic influences of Sergio Leone without first considering the shooting styles of Ford, Hawks, and Peckinpah? How can we laugh at Mel Brooks’ Blazing Saddles without first laughing at its source material: Dodge City? To properly investigate the nuances of masculine discourse and gender relations in the Western, it would be a mistake to jump to The Ballad of Little Jo before encountering Johnny Guitar and High Noon, both of which offer fascinating accounts of feminism, femininity, and masculine crisis. There are lessons to be learned from the films and filmmakers who have become synonymous with a genre or style of filmmaking. Not all canonical films are great, and not all great films are considered canon by the majority of film critics, but we must begin somewhere. In developing my Western syllabus I was keenly aware that some important films were going to be left off the course, if only because of time constraints. We never explored the Westerns of Anthony Mann (The Naked Spur) and Budd Boetticher (The Tall T), two directors that have received some new-found attention in recent years. Some may confuse this approach with what Robert Allen and Douglas Gomery have termed the “masterpiece tradition” in film studies. This refers to a set — or canon — of “great films” that are legitimate examples of cinematic art, which continue to be taught in film courses, screened at museum retrospectives, and singled out by those perennial “Best” lists.Â As I have already suggested, some of these “masterpieces” may not deserve the praise, and they undoubtedly push some well-deserving, more ordinary examples out of the spotlight.Â As David Bordwell notes, “In most film histories, masterworks and innovations rise monumentally out of a hazy terrain whose contours remain unknown.” The masterwork tradition, as I have defined it thus far, champions the study of certain films over others with the aim of defining a group of legitimate, acceptable, and worthy examples of film art. While it may have been preferable to cut through the brussels sprouts and avoid yet another screening of Stagecoach or The Searchers or Shane, it would have been a disservice to students with no prior relationship to Hollywood’s myth of the Old West to pick and choose the historical trajectory of the genre. More generally, however, I was concerned that students would see through my attempt to explore the foundational essence of the Western as simplistic and naive. Indeed, contemporary Hollywood cinema is currently experiencing a condition of genre hybridization that George McKnight has called the “transgeneric.” The Matrix, for example, blends science fiction with literary allusion, Hong Kong action spectacle, the superhero film and the Western. While the transgeneric is by no means a new phenomenon — Chaplin was doing it in the 30s — it certainly hinders the plain vanilla genre film from appearing fresh. 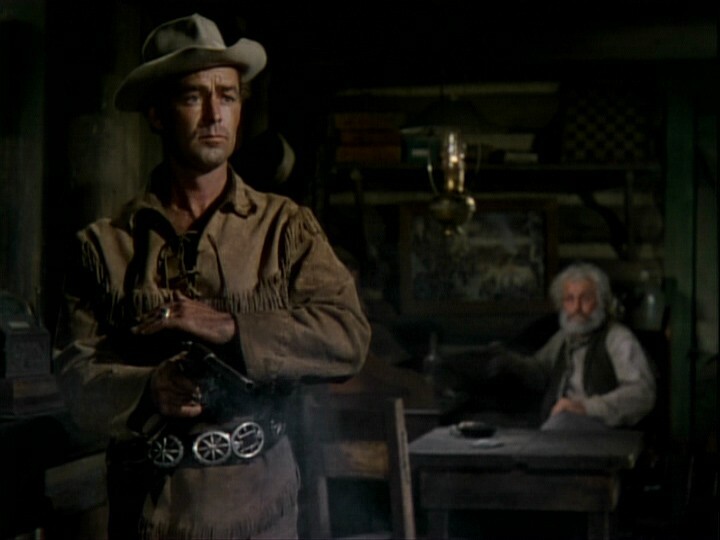 How can Alan Ladd’s Shane compete with Bruce Willis’ Western-inspired “Yippee Ki Yay” John McClane? 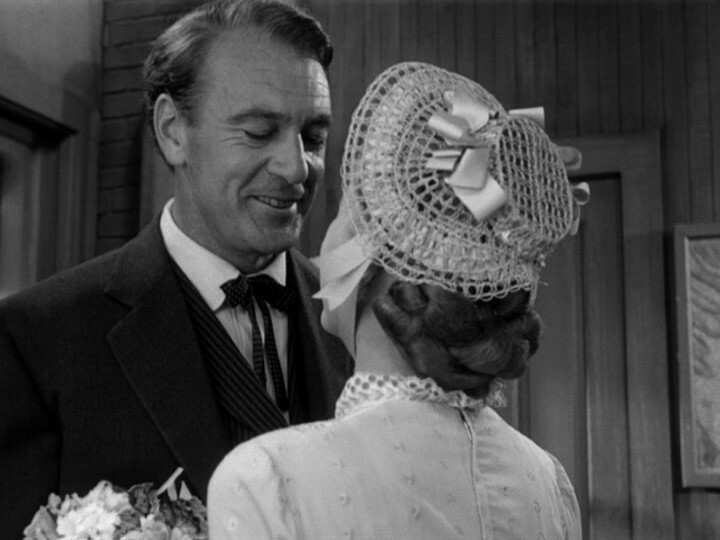 To my surprise, the student reaction to such old hat stand-bys as Shane and My Darling Clementine was incredibly positive. Stripping away the auteur arguments and the psychoanalysis of pop film criticism, John Ford’s doorways never looked so fresh and felt so moving. 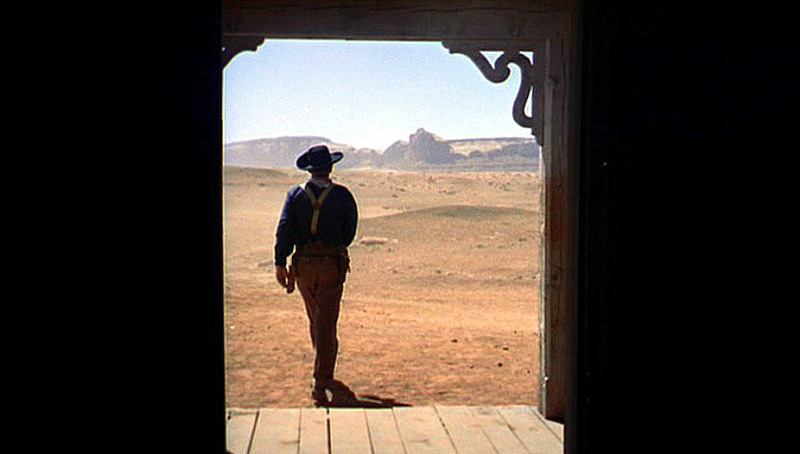 The deceptively simple shots through windows in Shane beautifully complemented the baroque framings in A Fistful of Dollars. What was most inspiring were the connections that students made between classical Western plots and contemporary genre films. The fabric of Western icons and themes were noted in the current superhero cycle: Batman as urban Ethan Edwards. Even Joel and Ethan Coen have toyed with Western symbolism in No Country for Old Men and, to a more hilarious extent, in The Big Lebowski. The Dude remains one of my own personal favorite Western heroes, even if he never donned a cowboy hat or six shooter.